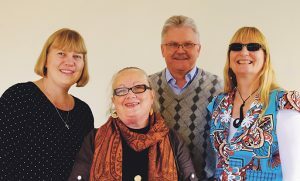 Catholic Social Services has appointed three new lay Catholic chaplains to hospitals in the Wellington region to provide ministry. We wish the three chaplains all the best in their new roles as they grow in experience and provide the pastoral and spiritual care to the patients we know will benefit from their care. Our prayers and blessings go with them. Original generation time 1.1672 seconds. Cache Loaded in: 0.0210 seconds.